I’ve lived in London for most of my adult life. And, much of that has been in flats with little or no outside space. Just enough space perhaps for a few pots or for a planter. Anyone who, like me, was brought up in the country but somehow has ended up living their life in a city will relate to that sense of craving plant life. Now, I’m lucky enough to have a small garden, albeit with just two raised beds for plants, and I’m really enjoying spending a bit of time there. Of course, I’m not so green fingered and I’ve already enlisted the help of Alex’s Gardening Services to get things tidied up this year. 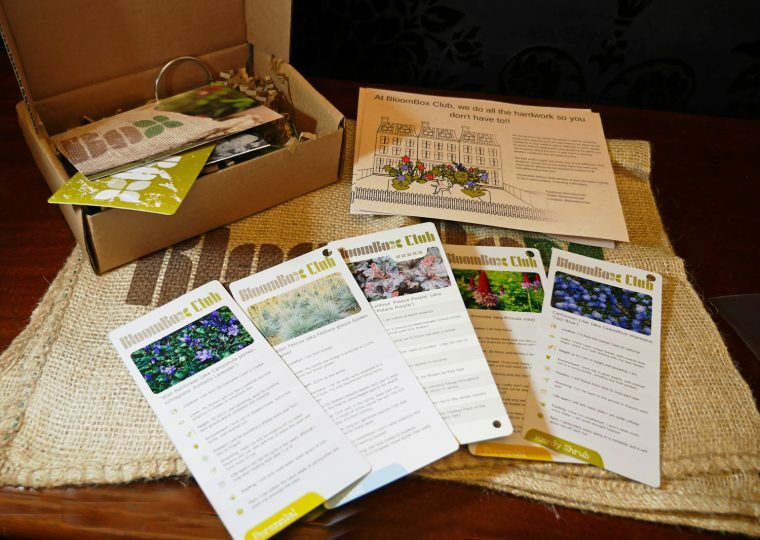 Then, I was quite delighted to be invited to review BloomBox Club. I’ve been expanding the space for plants with a few large terracotta pots intended to start a herb garden and having transplanted my rosemary, sage and parsley, I had some bare spaces left in the raised beds. What to put there? Bloombox Club sounded perfect. With a BloomBox Club subscription, every few months you get a box full of seasonally appropriate plants. 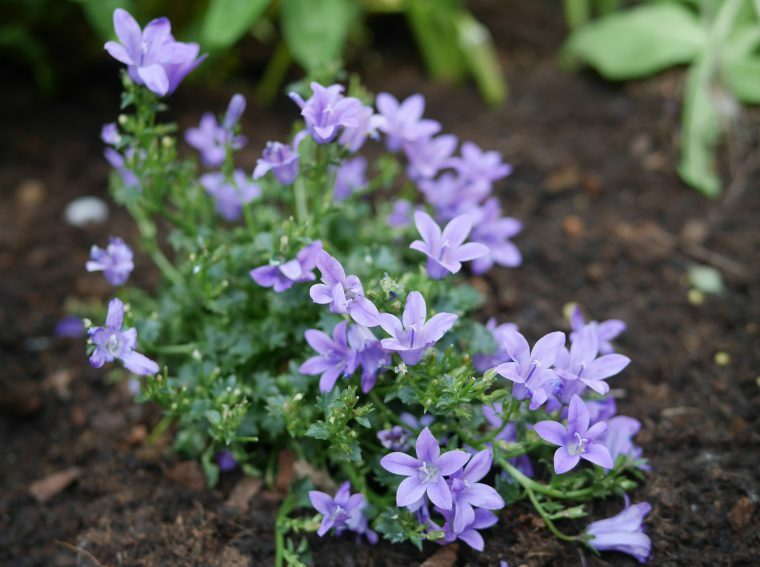 All you have to do is put them into your own planter or pot. My selection arrived beautifully packaged. 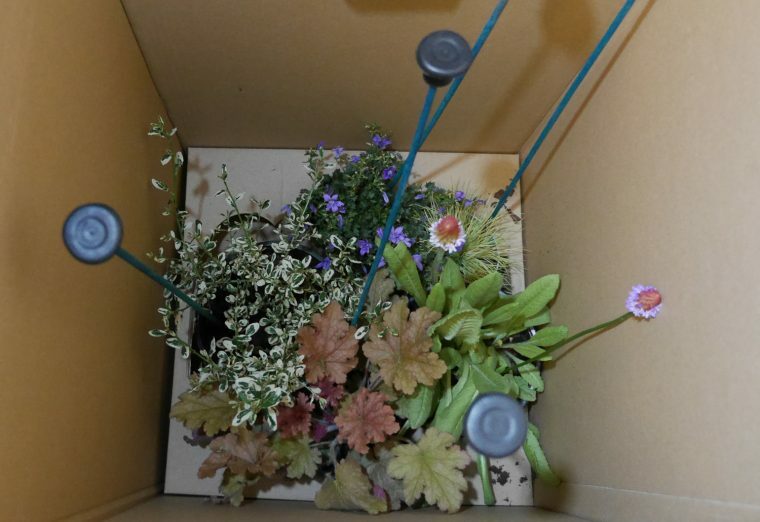 Each plant was supported by special sticks (which I’ve reused in the raised beds) and the box itself was made of good quality strong card – nothing was squished or had fallen over. I took every pot out of the box, watered them and then left them in the garden to acclimatise overnight. The next day I planted everything out. I’m particularly impressed that the plants make a pretty set together. My favourite, Wall Bellflower, is a stunning purple flower which comes from the Dalmatian coast of Croatia (I’ve actually seen these growing wild when I was walking near Zadar). I’ve planted it toward the front of the planter and I’m hoping it will spill out over the edge adding a nice pop of colour. The curious Vial’s Primrose looks gorgeous against the dark green shrub sitting in one corner of the planter, while Heuchera villosa ‘Palace Purple’ adds colour both with the pretty pink flowers and with the exotic, metallic bronze and purple leaves. 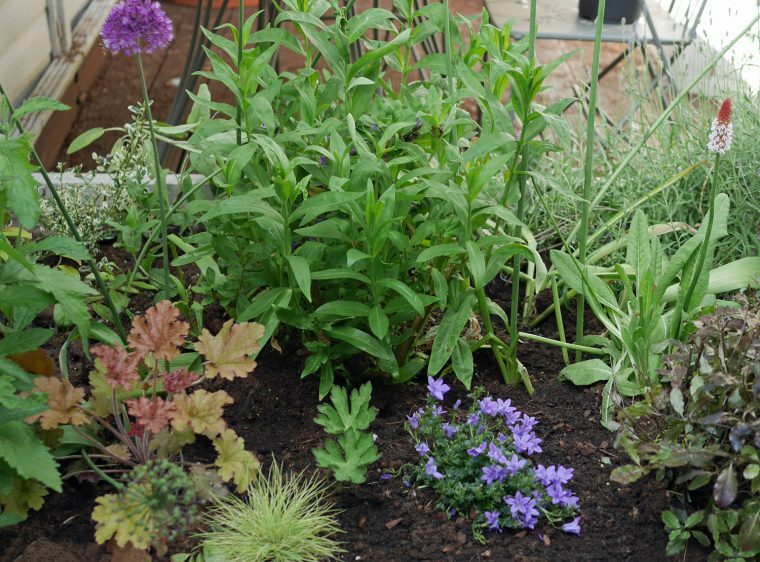 The two other plants, Golden Fescue and Californian Lilac are also neatly in the main raised bed. I have a secret fetish, that Golden Fescue looks like Donald Trump’s hair – but I’ve planted it out anyway. And, the photo of the Californian Lilac is stunning – I can’t wait for it to flower (though until I read the plant guide I thought it was a variegated privet! My BloomBox came with a few extras too – a pretty air plant, a hessian planter (which I will use to add to my herb collection for the bay tree) and a pack of forget me not seeds. I love the idea and I’m looking forward to my next box. I’d particularly like to see the firm expand into herb boxes. 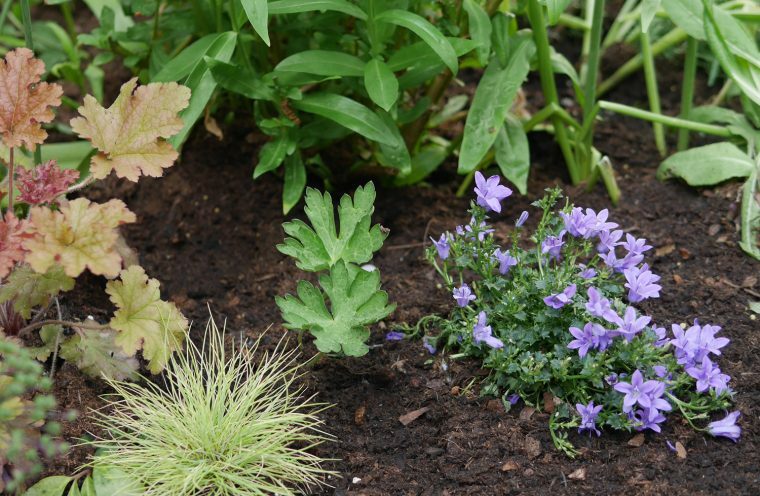 They currently offer a range of subscriptions – small outdoor plants, large outdoor plants or indoor plants. And you can buy individual plants too. Everything comes with a comprehensive care card so, even those with rather rusty green fingers might succeed. If not, the next plants are only a few months away. So, why not check the BloomBox Club website and find out more for yourself – it’s an excellent way to fill your life with flowers. Disclosure: I was sent my BloomBox free of charge for the purpose of reviewing. All comments are editorially given.